Addiction and recovery are complex issues, but they are not too complex for someone to understand them. Going through addiction and recovery is difficult, constant, and ever-changing. Here are some simple truths that may make these issues less complex and less confusing. According to the NIDA, “Drug addiction is a complex illness characterized by intense and, at times, uncontrollable drug craving, along with compulsive drug seeking and use that persist even in the face of devastating consequences.” People often become angry and confused by the actions of their loved ones who become addicted to drugs. The truth is that addiction eventually changes the way the brain functions so that a person often cannot stop even if they wanted to. Remembering this can help get you through a hard time if you are feeling weak or frustrated with yourself because of your addiction. And when you find it difficult to help someone you love who is trapped in this issue, reminding yourself that their issues are often uncontrollable can be beneficial to you. 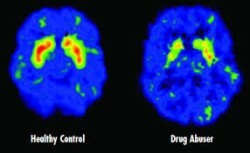 Addiction is thought to be a disease of the brain. For many people, recovery does not mean that they get to suddenly go back to their lives without another thought about their former addictions. Relapse is a part of recovery, and many people often have to attend more treatment after relapse. It is perfectly normal. The important thing is to try and fight relapse and to attempt to prevent cravings before they start. For example, some individuals who were once addicted to cocaine do not drink coffee because the mild jittery feeling they get from the caffeine reminds them of being on cocaine. Recovery is not the end of your addiction or your journey. Treatment is Almost Always Necessary. Some people do achieve recovery on their own, but it isn’t often. Many times, formal treatment is highly necessary for a good recovery. “An individual’s treatment and services plan must be assessed continually and modified as necessary to ensure” that it meets the changing needs of the person, and this is often what makes it so essential (NIDA). Every treatment plan, when done correctly, should be worked out so that the individual receives the best treatment possible. And, as mentioned before, it can be very hard to fight an addiction alone. There are Many Factors Involved in Addiction. “The more risk factors an individual has, the greater the chance that taking drugs can lead to addiction.” Many people think those who become addicted to drugs lack willpower, but this is not true. A number of factors influence addiction, and they can sometimes work against the individual. How Drug Addiction Recovery Will Change Your Life - While recovery takes a good amount of time and effort, the reward to you and your family is huge. You will see improvements in all aspects of your life.